Someone had to do it. 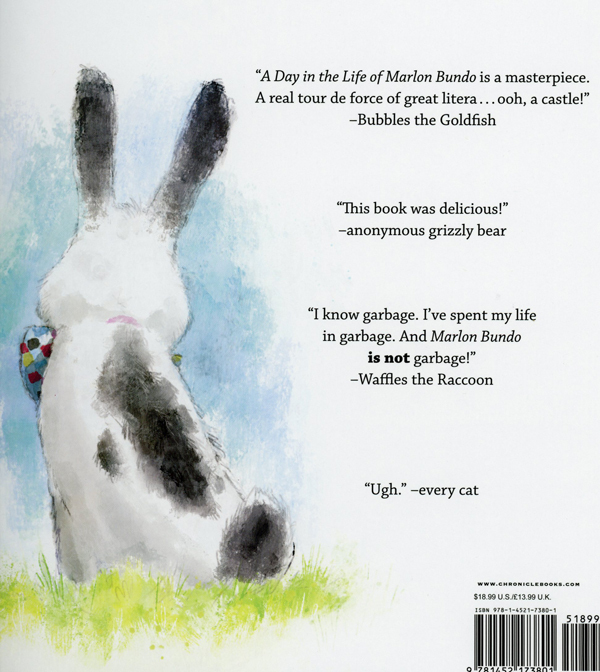 Well, not really HAD to do it but I WANTED to do it: review A Day in the Life of Marlon Bundo. Written by Jill Twiss (with a co-writing credit to the star of the book) and illustrated by E. G. Keller, which is a pseudonym for illustrator, Gerald Kelley. I wanted to review this book for the phenomena it is. 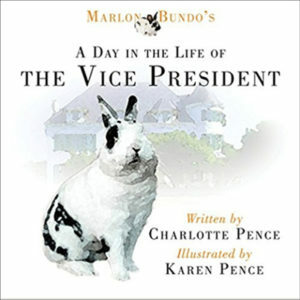 It was conceived as a ‘parody’ of the—at the time— upcoming book by the wife and daughter of vice president Mike Pence, Marlon Bundo’s A Day in the Life of the Vice President. 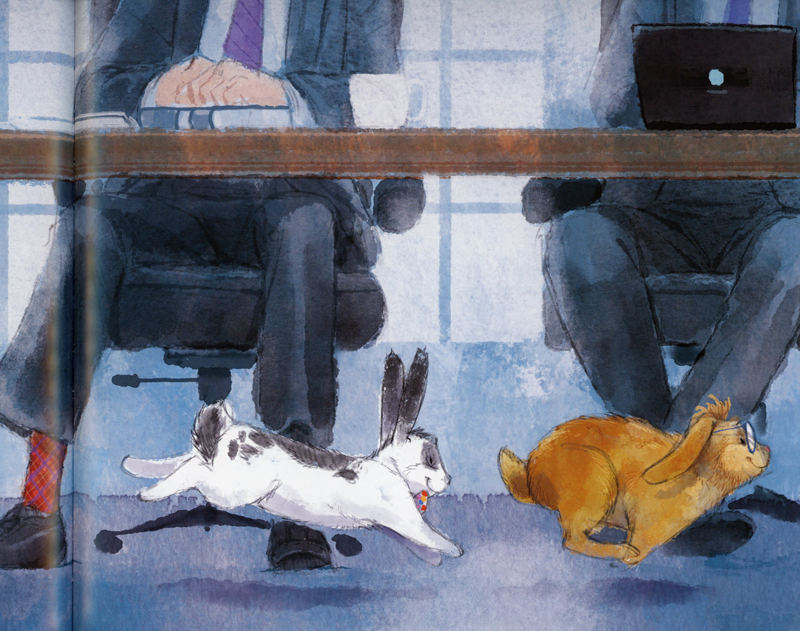 Their story about their real-life pet, Marlon Bundo, a rabbit and his forays in a (yawn) day in the life of the vice president. The idea for the parody book came from the minds of John Oliver and his staff (which includes Jill Twiss) at Last Week Tonight, a humorous cable news/opinion show. 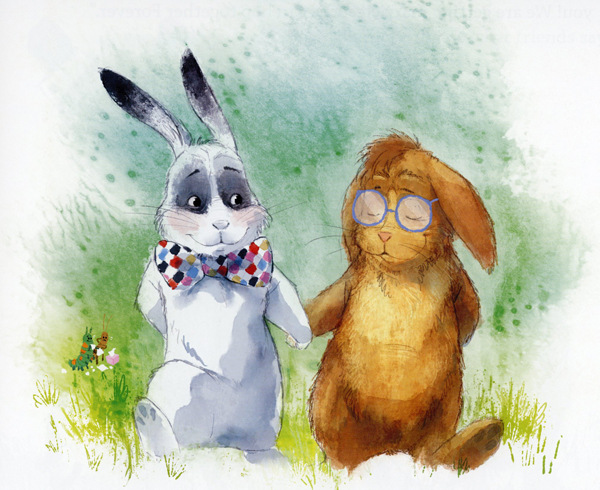 Because Vice president Mike Pence has many times expressed anti-LGBT sentiment and worked towards anti-LGBT legislation, making his rabbit gay probably seemed automatic. As well as having him falling in love with another boy rabbit. And wanting to get married. 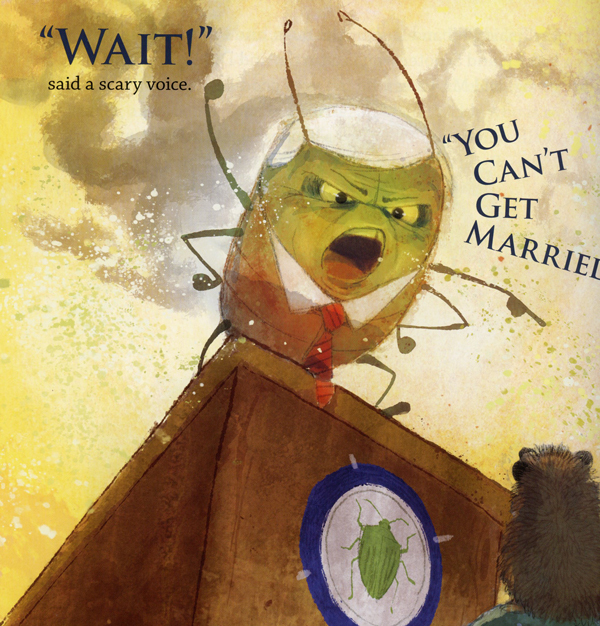 And having a stink bug, that looks an awful lot like the vice president, adamantly and angrily tell them they can’t. Fortunately, all the animals realized that they did not have to accept that the Stink Bug was in charge and they vote him out. The story is not what I would consider a straight-away parody of the Pences’ book. It doesn’t really follow their book. Instead, as Oliver said, he wanted to annoy the homophobic vice president. It is pretty predictable and is told succinctly. And despite its gentle jabs at Pence, it is a book about loving. And it shines a light on inclusivity and acceptance and with no tolerance for the flip side. The book was announced on Last Week Tonight in March and was immediately available for order online. A full day before the Pences’ book would come out, er…launch. (No coming out in their book.) And it sold out immediately. 180,000 copies if I remember right. I know it was hard for independent bookstores to get the book in stock with the first run, but within five days Chronicle had ordered another printing of 400,000. 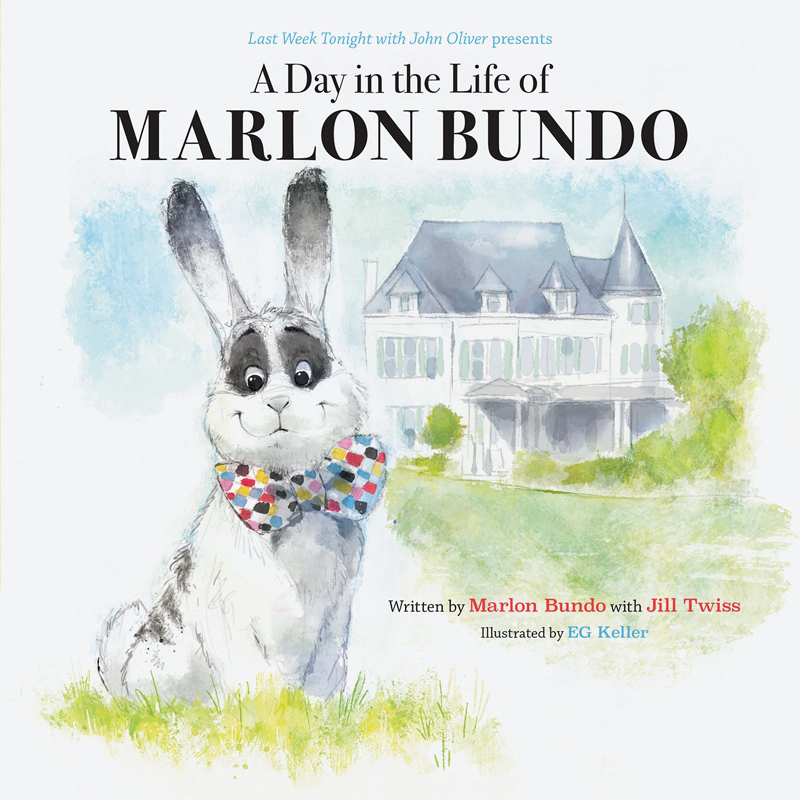 ALL Proceeds from A Day in the Life of Marlon Bundo go to The Trevor Project and AIDS United. EG Keller, gay marriage, Jill Twiss, Marlon Bundo, Vice president Mike Pence. Bookmark. I too am not a fan of the celebrity cash-in… especially when the rest of us are going through the 2-year process. But…I guess the idea that another celebrity can cash in on the original is somehow appropriate. As to the book – Love it! And the blurbs are great! I certainly have a few friends I want to share this with! Thanks, Kevan. I received a digital copy of this book as a gift and loved everything about it…text, illustrations and message. Very well done. Thanks for shedding some light. I wanted it to be good, but wasn’t very hopeful. Glad to hear it might be ok! I bought this book for our Coop Preschool. We have a family with two married moms at our school. We had to support this cause plus the kids loved the book! Kevan, I appreciate you stepping out (not coming out) to review this book. I agree with your assessment. The 100% proceeds donation is generously and intentionally open-hearted for the two organizations that will receive funds, unlike some that say “some proceeds” and then donate 3% of royalties, or less. I watched Jon Oliver the night he introduced the book and it is important to note that he was enraged and motivated to create this because of the Pence insistence on supporting a specific organization that is aggressively anti-gay. Thanks for reviewing this one, Kevan. I was stunned that it could be turned out so quickly and feared it would be drecky as a result. So glad to hear it’s well done. It looks pretty cute, actually. I’m not sure how much it persuaded the Pence family, but it certainly got a lot of attention. Yay for John Oliver & Co. I am still waiting for my copy. That’s what comes from recording things and not getting around to watching for days and days. Good for you for reviewing it. It deserves wide readership. Love that you reviewed this! Haven’t read the book yet because …the celebrity thing even though I agree with the reason it was made but I will certainly read it now! Thanks! I may not have picked this one up without your post. Looks good (surprisingly!) I love the blurbs on the back, too. I”m with the people that don’t like the celebrity books. They seem too didactic or mushy in general. They don’t last long. I understand why he wrote it. Someone will get something out of it. 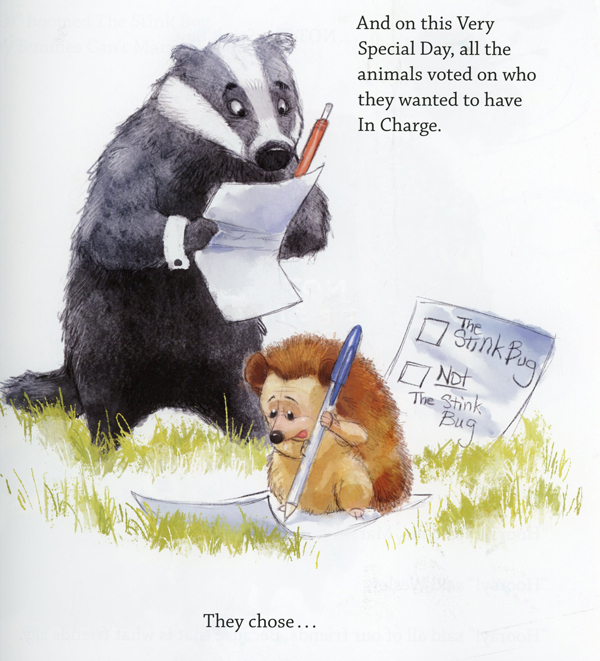 I’ve seen other picture books that deal with this subject subtly without pointed humor. I understand the hype, but cannot get into it. 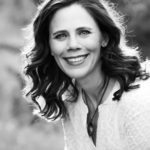 Thanks for this great post (and those fabulous blurbs), Kevan!